Jo, tu domněnku o jménech, kdo by si u nás mohl One-77 koupit, si vycucal z prstu redaktor též tuším z Novinky.cz (nebo podobného důvěryhodného deníku). 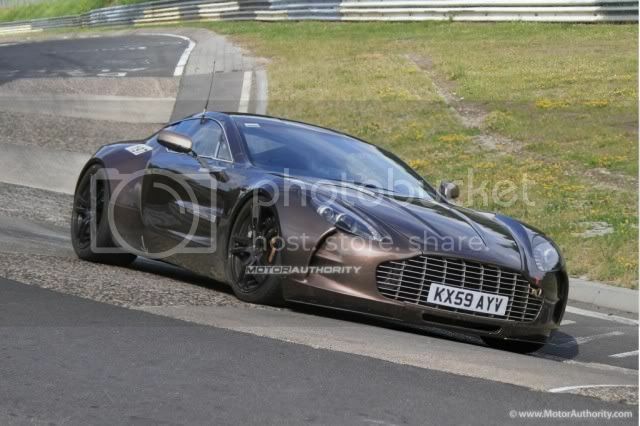 The Aston Martin One-77 has been shown in official video testing on-track before, and it's even broken the 220 mph mark in testing. But until now, it hasn't been spotted running the Nurburgring's Nordschleife. Well, wait no longer. 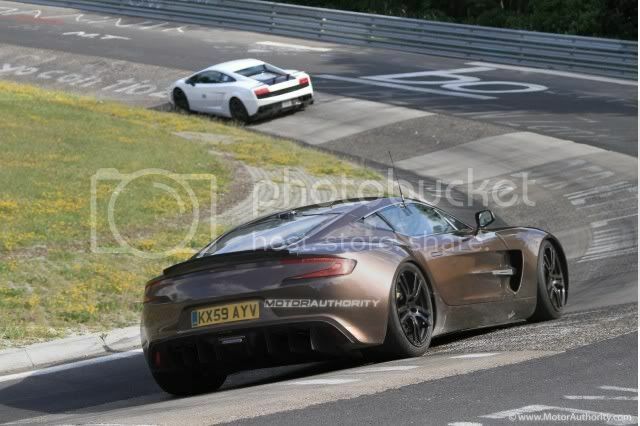 These photos show the car--in a fantastic color-shifting shade of bronze--running hard on the 'Ring. In one shot, it's in close proximity to a Lamborghini Gallardo, which doesn't appear to be running away from it. In case you've somehow forgotten (for shame!) the stats on the One-77, it's powered by a 7.3-liter V-12 engine estimated to be turning out more than 700 horsepower--official power figures haven't been released yet. A single-clutch automated manual gearbox shaves weight and stands up to abuse better than a dual-clutch 'box would. With all that power and a focus on high-tech materials and weight savings, the One-77 is good for a claimed 0-60 mph time of 3.5 seconds, and a top speed in excess of 200 mph in production form, though as we've noted, it's capable of at least 220 mph unrestricted. With almost all of the One-77's production already sold out--a rumored ten sold to a single buyer--it's unlikely we'll be able to bring you a first-hand drive report any time soon, but in the mean time, you can enjoy the sheer beauty of the car in its natural habitat. Zdravim vas neviete niekto či všetky one 77 už su u majitelov??? 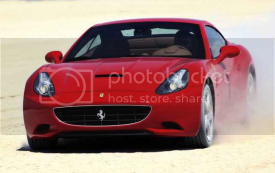 Ferrari is better than Lamborghini.